Cricket has seen tremendous growth in Chicago in the last decade. In this episode of Medill Newsmakers, we will talk about the growth of cricket in Chicago. We talked to the general manager of American Cricket Conference, one of the biggest conferences in America. We also talked to players, presidents of leagues on the the culture, awareness and growth of cricket in the city. The 2016 NFL Draft came to an end, but the memories are still fresh. From Ezekiel Elliott’s selfie with Commissioner Roger Goodell to the first European player to be drafted in the NFL straight from the European league, the three-day event had it all. Here are some pictures which will be etched in our memories. For the first time ever in the opening round, three wide receivers were picked consecutively. The Texans pick Will Fuller from Notre Dame, Washington picks Josh Doctson from TCU and Vikings pick Laquon Treadwell from Ole Miss. Analysis: Still long way to go, but cricket seeing growth in U.S.
Players were padded up for their first practice session of the year Saturday in Glenview. The weather was in the 60s, and the sun was shining on a Glenview Park District’s field. The season of cricket has arrived and the 100 recreational league teams in Chicago are excited. Now, why should people care about a sport that has little awareness in the U.S.? Ten years ago, the UFC received little attention. This January, the MMA fight between Conor McGregor and Dennis Silver drew 3.16 million fans across the U.S.. The same goes with soccer with the World Cup and Premier League doing robust ratings for the networks. 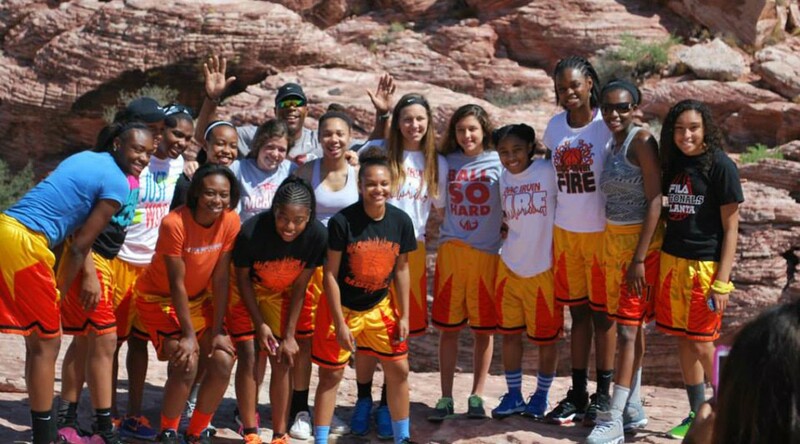 Whitney Young junior guard Adrienne Truitt and her family have never gone on a family vacation in the last 10 years. Not even on short trips. Adrienne’s father Michael wanted to spend every additional penny he had on his daughter’s basketball career. And it is considerable: An estimated $40,000. Set aside the fact that Paul Lasike, currently a practice squad running back for the Bears, did not start playing football until his sophomore year at Brigham Young University. He never watched a football game until the age of 20. Lasike had a unique journey to the NFL. A New Zealand-native, the 5-foot-11, 232-pound Lasike moved to the U.S. in 2009 to play rugby for Brigham Young and “get to experience the American culture.” He became an All-American after his freshman year. He moved to Alabama after his freshman year to complete a two-year Mormon mission with the Church of Jesus Christ of Latter-Day Saints. Alabama kindled his interest in football, and when he got back to BYU for his sophomore year, a strength and conditioning coach in the football team watched him during a rugby game. Impressed with his athleticism and ability to pick up skills quickly, he asked him to attend a session for walk-ons. Paul Lasike played three years for the BYU football team from his sophomore to senior year. (Courtesy of Paul Lasike/Brigham Young University). Paul Lasike is a football player now, but his roots lie in rugby. 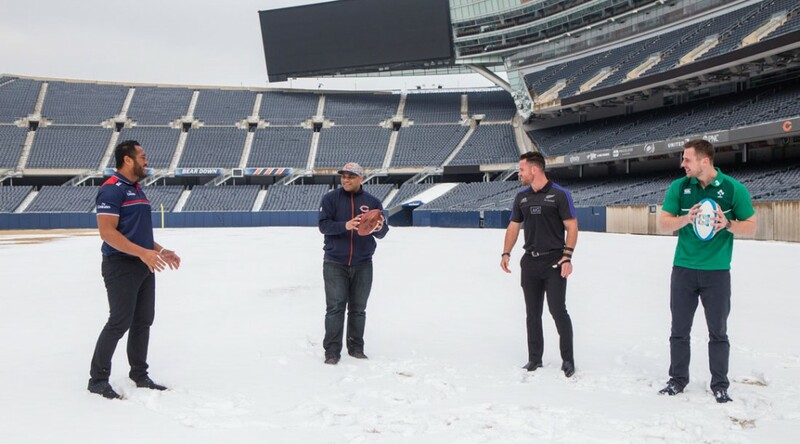 Lasike, a running back on the Bears’ practice squad in 2015, grew up in New Zealand, where rugby is as big as football in the United States. His background made him more than qualified to discuss The Rugby Weekend, which was formally announced in a press conference Tuesday. The competition will feature two of the top teams in the world: 2015 World Cup Champions New Zealand All Blacks will face the Irish National Team in Soldier Field on Nov. 4. U.S. National Team then will play against the Maori All Blacks on Nov. 5. 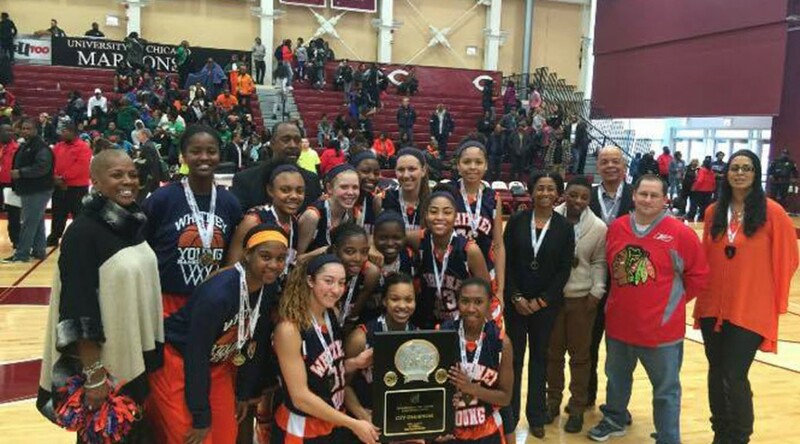 The Whitney Young Dolphins’ gym was unusually cheerful last Wednesday, the first day of practice after the team brought home its eighth straight city title Feb. 7. Imagine inviting someone to your house for the first time, and she beats you up. That’s what happened in January when Estonian wrestler Mae Epp bludgeoned her U.S. opponents with two technical falls and a pin at the Dave Schultz Memorial International tournament in Colorado Springs. The world No.2 at 75 kilograms (165 pounds) hugged her opponents after accepting her gold medal, but the U.S. wrestlers at the Olympic Training Center now knew where they stood. COLORADO SPRINGS, Colo. — Usain Bolt will be in the starting blocks, ready to sprint 27 mph toward yet another Olympic gold medal in the 100-meter heats. And so will you – if you visit the U.S. Olympic Museum set to open in 2018. Virtual reality that will let visitors race next to their favorite athletes will be the prime focus of the first “comprehensive” Olympic and Paralympic museum in the United States, said Kristen Downs, director of administration for the U.S. Olympic Museum. A young figure skater will be able look at what Olympian Jason Brown eats at each meal, and a 50-year-old retired sports enthusiast will be able to put on audio-visual goggles to see and hear the crowd cheering for his country in an Olympic arena, and, she said.